Moving right along with 2011, we welcome Gazimoff from the Mana Obscura Blog and the Obscurecast Podcast! He handles the early morning hours stupendously (he’s in the UK) and keeps us well entertained. We discuss the fine art of Gnome cooking, setting things on FIRE and, of course, the best Horde race to kill. News this week was sparse but we manage to still find “something” to talk about including the PTR build and changes to Guild Cauldron requirements. Tune in, Turn on and Hang out with us as we bring you an Episode 114 unlike all other Episodes of TNB numbered 114. I am fully aware of the seemingly odd choice I made for this weeks Spotlight. Having a YouTube channel as a resource for World of Warcraft is not the most conventional idea, however this particular YouTube channel has become a staple of my WoW news routine, and even a daily one which amazes me. During it’s running I listened to, like many folks, WoW Radio. I tune in for The Cynical Brit, not regularly honestly, but often enough. I have even watched some Starcraft Shoutcasts by this weeks Spotlight creator, despite the fact I have never played Starcraft. I am of course talking about TotalBiscuit. The video that I feel is of particular importance to you, the WoW community, is Azeroth Daily. TB produces a daily video show with audio overlay of that days news and events in the World of Warcraft. It sits somewhere in the range of 15 minutes, so it is a very comfortable watching length. 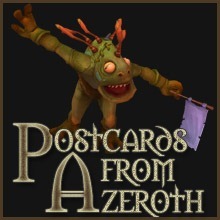 It is chock full of TB’s typical wit, humor, and cynicism, and gives a great overview of the daily goings-on in WoW. 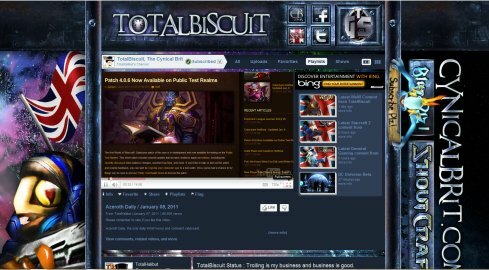 The blue posts, patch notes, forum highlights section of the videos is my particular favorite, as I have not ventured onto the official forums since 2006, so very often if I have not checked my RSS feed from sites like MMO Champion, I have no idea what the “Blues” are up to. There is often times when producing something in audio content that is of a news topic is quite difficult, likewise it is often tricky to convey a certain degree of humor in a written post. Video covers both of those failings rather well. And TB is a master, there is no doubt. Honestly, his voice alone sells it. He has certainly been blessed with the girpping tones of professional radio man. From Britain, which is just an unfair advantage over boring-accented Americans such as myself. Here ist oday’s “Azeroth Daily” – I highly recommend you watch it and then head over to the TotalHalibut YouTube channel and add this site to your Resource Repertoire. This week, TNB welcomes Gazimoff from Mana Obscura and The Obscurecast to the show. Being as he in Europe, he’ll be waking up really early to speak with us, so make sure we’ve got some great questions for him! Send them in to us or call and we’ll make sure we ask! You can also join us in the chat room Saturday night. We hope to see you there! When is it? : This live show is scheduled for Saturday, January 8th at 8pm PT (11pm ET). Not sure what time that is for you? Use this handy-dandy time converter! The OverLores – Episode ZERO! We have arrived. It is no longer safe to let your children run in the streets, for among you are five that seem trustworthy, that seem honorable, and most of all they seem sane. However I can tell you this, those assumptions are all very, very wrong. Particularly the last, but that goes without saying. Yes folks, we have done it. We finally got 5 (actually 6) calendars to sync up for our first recording. The intention truly was for this to be a very loose, casual first go of the show. More of a night for each of us to get to know one another on a larger and more intimate scale than through twitter communication and blog post comments. 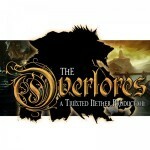 Episode ZERO – The Gathering of The OverLores! We have arrived. What you will hear is very much our first run. This episode really wasn’t supposed to take place in this format. I really had thought we would just be talking, introducing ourselves, talking about role-playing, talking about how we’ll be playing our new characters. Then, as I said, 2 hours had past and we had begun leveling and going into our impressions of the Gilnean conflict. So, please take my word for it and know that this is not really going to be the format for the shows to come. In truth, we don’t know exactly what those shows will feel like. Similar, mind you, but as the show progresses, as is the case with all projects such as these, it will grow and mature and flesh itself out into the form that we will inevitably just fall into and feel comfortable in. Right now, I urge you to listen, get comfortable, and get accustomed to hearing our voices, because this is a project that has a lot of heart, and will go places, I promise you that. We would appreciate, above all else, commenting on the show. Here on the blog, on iTunes and Zune, sending us emails, messages on twitter. We want to hear what the community has to say, this is a community driven show and we want to know what you folks like, don’t like, and want to hear. Ask questions, make us do our homework. The more feedback we receive, the better the show will be. I promise you that! Thank you folks, and we all look forward to hearing from you, and look forward to having you, hear from us! PS. This Post will feature on both the TN main page and the OverLores page as well.